Crews working on the Whole Foods Market and Walgreens pharmacy buildings will start removing fencing around the site on the east end of downtown Boise in the next few weeks so they can install sidewalks, trees and light poles, said Rick Duggan, who is part of the Broadway Front partnership with Boise developer Jim Kissler. Perimeter work likely will conclude at the end of August. 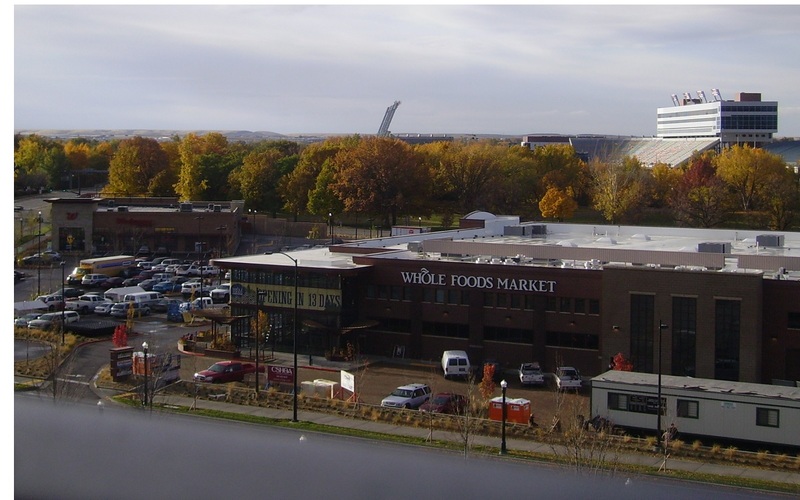 Site work is catching up with vertical construction of the approximately 35,000-square-foot Whole Foods store and 15,000-square-foot Walgreens, Duggan said. The 3.4-acre site will feature permeable pavers on the 252 parking spaces. The pavers collect water that runs through a sand filter and into the water table, Duggan said. Walgreens is expected to open in late September or early October, followed by Whole Foods by the end of November, Duggan said. He is with Schlosser Development of Austin, Texas. Combined construction value approaches $6 million, Duggan said. The project involves Engineered Structures Inc. and CSHQA Architects.